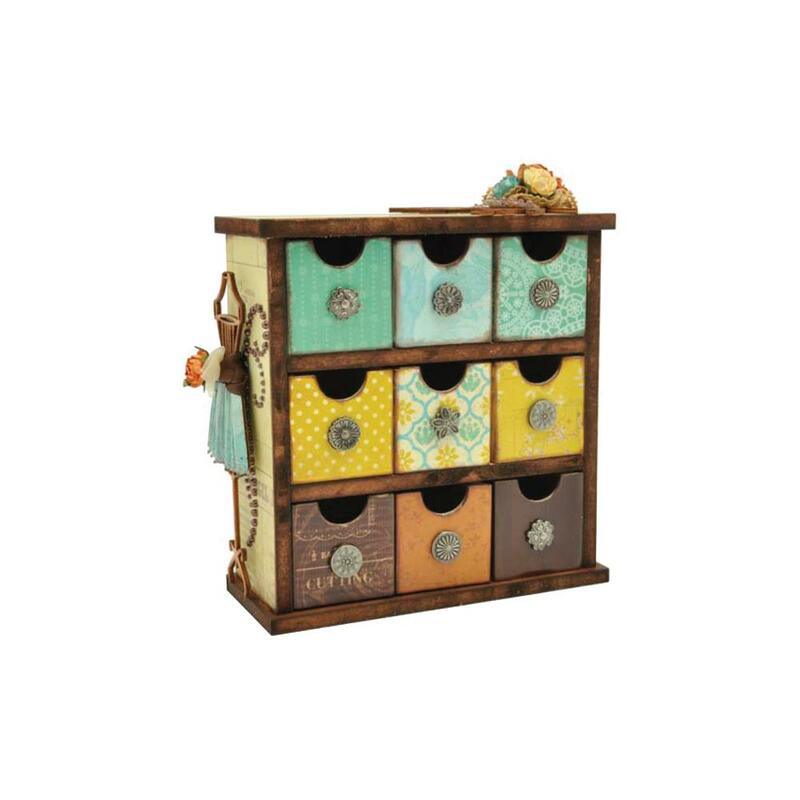 KAISERCRAFT-Beyond The Page: Mini Drawers. Beyond The Page is a fabulous line of products that is made of quality press boards. Paint, ink, chalk, paper and embellish your way to a truly unique piece of art. 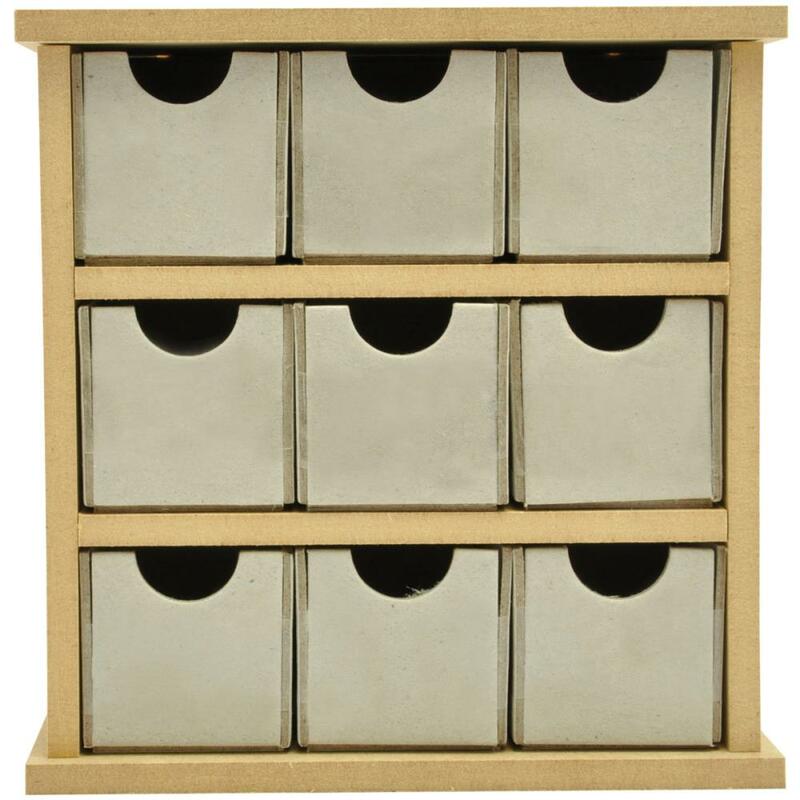 This package contains set of Mini Drawers with nine drawers each measures 1.5x1.5x1.75 inches. Assembled size of entire unit 5x5.75x2.25 inches. Imported.